Lace Sleeve Blouse Just $21.99! Down From $70! 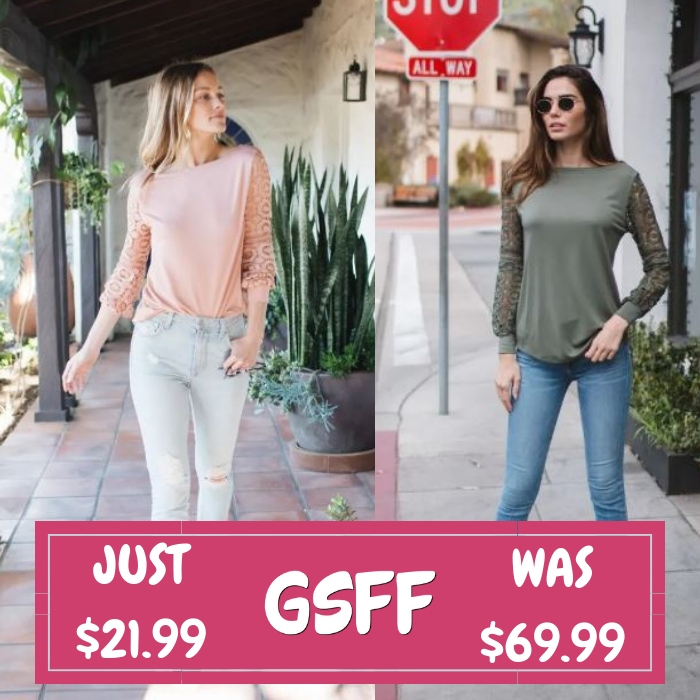 You are here: Home / Great Deals / Lace Sleeve Blouse Just $21.99! Down From $70! Until February 14 only! Jane is offering this Lace Sleeve Blouse for just $21.99 down from $69.99! Shipping is $3.99 for the first item and $1.99 for each additional item. The crochet lace sleeve detail on this top gives it a touch of feminine elegance, while still being a great go-to essential. Easily transition your closet from winter to spring with this fun, long sleeve basic.